“The one most requested feature to add to iPad mini was a beautiful Retina display, and that’s what we’re going to do today,” Apple senior vice president of worldwide marketing Phil Schiller said at the event. The iPad Mini finally gets a Retina Display. Apple’s new iPad mini indeed features a 7.9-inch display that bumps the resolution from 1,024 x 768 pixels on last year’s model to 2,048 x 1,536 pixels, which is obviously a huge improvement. This improvement makes the new iPad Mini a perfect tool for watching movies, TV shows, music videos, etc. just like the new iPad Air. For more fun, with this Free iPad Mini (Retina) Video Converter, Let's learn how to convert all our favorite videos and download Youtube videos to iPad Mini (Retina). The new version of the iPad mini also features Apple’s 64-bit A7 processor, features expanded LTE support, a 5 megapixel camera and delivers up to 10 hours of battery life. The Retina-equipped iPad mini will sell starting at $399 as the original iPad mini will see its price cut down to $299. Apple says the second-generation iPad mini will be available in November. Tutorial 1: How to convert video to iPad Mini with Retina Display? Here the following is a brief guide on how to convert unrecognized video files to iPad Mini with Retina Display with Any Video Converter Free. PS: The following screenshot is captured from Any Video Converter Free 5.0.9 version. 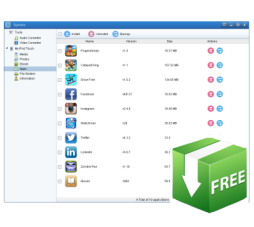 Before we get started, let's download and install Any Video Converter Free first. Simply click Add Video button to import the video files from your hard drive. Batch video conversion and merging videos are supported. After you added your video files, you can also make some editing to get the effect you want, such as trim, crop, add watermark, replace audio, remove interlace etc. Click Output Profile drop down menu to select proper output profile for iPad Mini with Retina Display. Click "Output Profile>Apple iPad" and choose "Apple iPad Retina MPEG-4 Movie(*.mp4)" in the profile drop-down list. 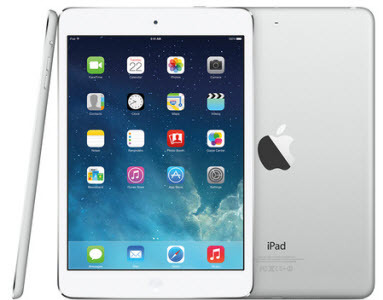 Click Convert Now button to start converting videos for iPad Mini with Retina Display. Once the conversion is finished, you can click "Output Folder" button to get the output files. Then connect your iPad Mini with Retina Display with computer, import output videos into it, and have fun! Please keep reading. The Tutorial 3 will show you how to transfer the converted videos from your pc to iPad Mini with Retina display. Tutorials 2: How to Download Youtube Videos to iPad Mini with Retina Display? iPad Mini (Retina) Video Converter is also the best free YouTube downloader. It offers you the easiest and most convenient way to download the YouTube video. Step 1: Please download and install iPad Mini (Retina) video converter . Step 2: Go to YouTube or your favorite video site and search for the video your would like to save with YouTube Downloader. Copy the YouTube video download link from YouTube webpage. Step 3: Click "Download" Button and paste YouTube URL to the pop-out box. Then click Download Button, choose video download format and start downloading. Note: When the Youtube downloading is completed, you can simply right-click it at the main window to find the downloaded video and refer to the Tutotial 1 to convert it for your Samsung Galaxy Note 3. Tutorial 3: How to transfer the converted videos to your iPad Mini (Retina)? If you are going to use iTunes to transfer files between your iPad Mini (Retina) and PC, please wait a moment. Freeware Syncios iPad Transfer will be a better choice. Here is a brief guide on how to transfer the converted videos to your iPad Mini (Retina) with Syncios iPad Transfer. Keep reading and simply have a try. You will love it! After plugging your iPad Mini (Retina) into PC, the program will detect your device then all info will be sorted in well manner. You will find Audio &Video Converter, ringtone maker from the Tools list. You can also get the list of Media, Photos, Ebook, Apps, File System, Information and more.You can check the device capacity and other information related to your device under "Welcome to Syncios" section. 1) Click Media and you can see the directories: Music, Videos, Ringtones, Podcasts, TV Shows, Audiobooks, Music Videos, Voice Memos, iTunes U on the right panel. Here you can see and manage all the video files. 2) Click Import and you can add local video files from your PC to your iPad Mini (Retina). Note: Syncios iPad Transfer supports converting a vast range of audios and videos to iPad/iPod/iPhone compatible formats (MP4, MOV, M4V, MP3, M4A, M4R, CAF) which iTunes does not allow you to do. It can aslo make free iPhone ringtones and send ringtones to iPhone without iTunes.Learn More. If you have ever rented movies from iTunes store, you must know that the rented movies will disappear from iTunes library once the rental period expires. If you do not have enough time to watch the movies or you need to keep the iTunes rental movies longer for some other reasons, you can convert the rented movies to unprotected videos with M4V Converter Plus. M4V Converter Plus is able to remove DRM protection from iTunes movie rentals. You can choose iPad Mini in the output profile directly and the M4V Converter will convert the selected iTunes movie to video file that is supported by iPad Mini with Rentina Display. Download the evaluation version of M4V Converter Plus to have a try!